This cheeky little Cornish Piskey is made from 100% Cornish Tin raised from the shipwreck of the SS Liverpool off Anglesey in 2000. One farmer, was so grateful to his little helper that he made the Piskey a fine suit of green cloth. 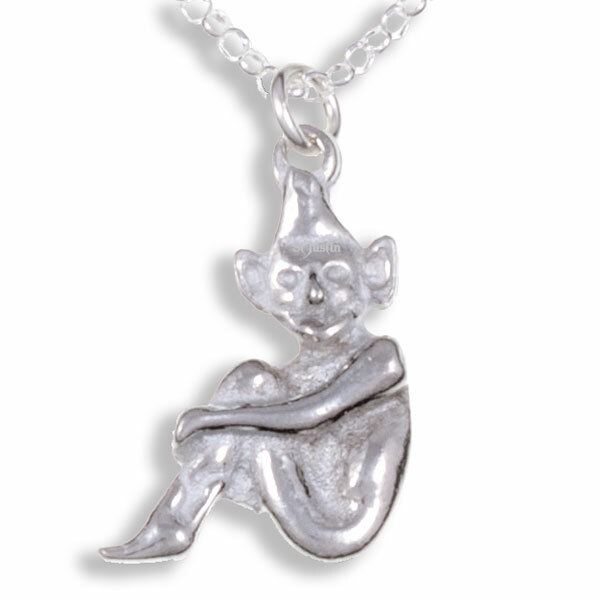 This Piskey hangs on a sterling silver chain approximately 45 CM/ 18″ in length and is packaged in a satin and velvet lined gift box.